Aristotle was the founder not only logics but also of ontology which he describes in Metaphysics and Categories as a theory of general properties of all entities and categorical aspects they should be analyzed. Meanwhile it is commonly accepted that we inherited from him not one but two different logics: early dialectical logoi of Topics and later formal syllogistic of Prior Analytics. The last considers logics the same way as the modern symbolic logic do. According to J. Bocheński the symbolic logic is “a theory of general objects” (by apt turn in phrase, a "physics of the object in general”) hence logics, as it is interpreted now, has the same subject as ontology. But does Aristotle himself counts that ontology (as it is accepted to speak now) is just a kind of “prolegomenon” to logic? In the paper some aspects of this issue are studied at length. logic, ontology, Aristotle, prolegomena, formal ontology, formal epistemologiya, two-level discourse. Aristotle was the founder not only logics but also of ontology which he describes in Metaphysics and Categories as a theory of general properties of all entities and categorical aspects they should be analyzed. Meanwhile it is commonly accepted that we inherited from him not one but two different logics: early dialectical logoi of Topics and later formal syllogistic of Prior Analytics. The last considers logics the same way as the modern symbolic logic do. According to J. Bocheński the symbolic logic is to be sets of statements about “being in general” (by apt turn in phrase, a “physics of the object in general” [4. P. 287]) hence logics, as it is interpreted now, has the same subject as ontology. But does Aristotle himself regards ontology (as it is accepted to speak now) as just a kind of “prolegomenon” to logic? Let us remind the beginning of Topics: “The purpose of the present treatise is to discover method by which we shall be able to reason from generally accepted opinions about any problem set before us and shall ourselves, when sustaining an argument, avoid saying anything self-contradictory. First, then, we must say what reasoning is and what different kinds of it there are, in order that dialectical reasoning may be apprehended; for it is the search for this that we are undertaking in the treatise which lies before us» [1. P. 273]. Some scholars denote that logic in Topics from modern point of view seems to be no other than logical introduction into theory of argumentation. From the other hand, J. Hintikka writes that the Socratic questioning technique in Plato’s Academy “was formalized into a method of philosophical training and philosophical inquiry by means of question-answer games... Of course, we all know what happened next. An ambitious young member of the Academy called Aristotle undertook to write what Ryle has called ‘a training manual’ for the interrogative games. This manual is of course the Topics” [1. P. 222]. As to Prior Analytics then what are systematically at issue from very beginning are more formal aspects: “First we must state the subject of the enquiry and what it is about: the subject is demonstration, and it is about demonstrative understanding. Next we must determine what a proposition is, what a term is, and what a deduction is (and what sort of deduction is perfect and what imperfect); and after that, what it is for one thing to be or not be in another as a whole, and what we mean by being predicated of every or of no” [2. P. 2]. This Aristotle’s “demonstrative science” is usually unquestionably considered on a par with modern deductive systems. Unfortunately, Aristotle’s treatment of existence in a syllogistic context is rather different from modern one. Since it is connected with his habit of dealing with singular terms and general terms on a par then we have troubles with Aristotle’s point that all the (possible) members of the class exist in full reality. So, the question still remains the same: should be Aristotelian ontology (as it is accepted to speak now) a kind of “prolegomenon” to logic? At once it worth to note that the term “ontology” used here has nothing common with the term introduced by Christian Wolff in XVIII century. That is what he said in this connection: “There are some things which are common to all beings and which are predicated both of souls and of natural and artificial bodies. That part of philosophy which treats of being in general and of the general affections of being is called ontology, or first philosophy. Thus, ontology, or first philosophy, is defined as the science of being in general, or insofar as it is being. Such general notions are the notions of essence, existence, attributes, modes, necessity, contingency, place, time, perfection, order, simplicity, composition, etc. These things are not explained properly in either psychology or physics because both of these sciences, as well as the other parts of philosophy, use these general notions and the principles derived from them. Hence, it is quite necessary that a special part of philosophy be designated to explain these notions and general principles, which are continually used in every science and art, and even in life itself, if it is to be rightly organized. Indeed, without ontology, philosophy cannot be developed according to the demonstrative method. Even the art of discovery takes its principles from ontology” [5. P. 17]. The misfit indicates also Joseph Owens counting that Wolffian usage is by no means just representative of what Aristotle has in mind when he speaks of the doctrine of ‘being qua being’ (τό ôv ή öv) [6. P. 697-700, 705]. Owens supposes that Aristotle’s metaphysical lore should not be understood in any “ontological” fashion, but rather put in a theological perspective, calling it (following Thomas Aquinas) “philosophical theology” [6. P. 700]. But this position seems unduly influenced by Owen’s dislike of any Wolffian idea of ontology. There is no reason for deeming “ontology” just a misnomer for what Aristotle means. Walter Leszl thinks that the reason was that Aristotle deals with “tasks belonging to an inquiry which is concerned with the interrelationship between language (or conceptual activity in general) and reality” [7. P. 48]. Thereby prime interest of Aristotelian ontology is the things-there-are in its own special way. It is concerned with the general conditions of intelligibility of “what-is” and thus with the very notion of “being given” at all. Its scope basically differs from those of other disciplines, which are beings as well. According to Leszl [7. P. 61], there is good reason to believe that all the investigations Aristotle explicitly assigns to ontology are interconnected. Besides, they concern the conceptual apparatus necessary for making Reality intelligible and the structure Reality must possess in order that it may be talked about. And besides. On the other hand, it is important to bear in mind that “logic” in antiquity had a different sense as compared with “logic” in modern time. It is enough takes a quick glance at the Categories, for example, to see that a distinction between logic and ontology in Aristotle does not by itself entail the possibility of maintaining an absolute boundary between the two. Quite the contrary, one of the points in using this distinction as an interpretative device in connection with Aristotle is that it eventually lets us discover the complex nature of the relation between logic and ontology in his works. While ascertaining the status of logic in the Metaphysics, one does not normally identify logic with the study and analysis of inferences but understands it in a broader sense, inspired by Aristotle’s “to investigate logically.” A discourse that aims at the elaboration of certain formal principles and concepts could perhaps be described as a kind of meta-analytic discussion. In fact, it makes clear such principles that are presupposed by, for example, the analyses of inferences pursued in the Prior Analytics. It is generally agreed that, to the extent that Aristotle deals with ontological issues within the logical context, his aim at this stage is primarily to assess critically the views of his predecessors, rather than to advance a complete or fully developed ontology of his own. And besides, according to Heidegger, the reason why Aristotle could let logic (understood in the broad sense as a reflection upon logos) constitute a philosophical point of departure is that his ontological investigation sets out not simply from the world “in itself” (whatever that could mean) but from the way in which it is experienced and articulated. Earlier mentioned J. Bocheński writes that Aristotle left us [4. P. 282]: (1) an ontology conceived as a theory of real entities in general and of their most general aspects; this discipline is defined; (2) two quite different systems of logic: a technology of discussion and an object-linguistic formal logic; (3) a considerable overlapping of both disciplines (for example, the “principles”, the categories, etc. ); (4) not even a hint, direct or indirect, as to what formal logic might be about; in other words, no philosophy of logic at all. It seems that in such frame of reference, the question of the interrelationship between logic and ontology cannot even be clearly stated. What logic is, which of the two logics has to be considered, where are the boundaries between logic and ontology? We do not know and still have no idea of that. And yet, Bocheński speaks, that is the frame of reference within which most of the philosophical discussions of the problem of interrelationship will develop. That is, so it seems, the reason and explanation of the confusion reigning in our field. This confusion reflects in the discourse of contemporary logicians, concerning what they take logic to be. There are two qualitatively distinct traditions in contemporary logic. In his famous paper, van Heijenoort  calls them “logic as calculus” and “logic as language” while Shapiro  calls the former “the algebraic perspective” and Hintikka  calls the latter “logic as universal medium”. Peckhaus  calls them, respectively, “logic as lingua characterica” and “logic as calculus rationcinator”, after Leibniz famous distinction. Corcoran  makes the most interesting for us characterization of the two traditions, by calling them, respectively, “formal ontology” and “formal epistemology”. The formal ontologists justify their use of the adjective ‘formal’ arguing that the propositions they deal with are expressed “exclusively in general logical terms, without the use of names denoting particular objects, particular properties, etc.” [15. P. 19]. On the other hand, the formal epistemologists justify their use of the adjective ‘formal’ arguing that they deal not with the content of the scientific discourse, but with its form. Famous representative of the Lvov-Warsaw logic-philosophical school Jan Lukasiewicz takes Aristotle to be doing not simply ontology but formal ontology and this was the reason of misunderstanding. Łukasiewicz writes: “In the light of investigations by mathematical logic, Aristotle’s syllogistic is a small fragment of a more general theory founded by Professor S. Leśniewski and called by him ontology” [8. P. 15]. If Lukasiewicz is right to claim that Aristotle’s logic is a formal ontology, then we can take Aristotle to be presenting a system of propositions organized deductively. On the other hand, Corcoran and Smiley  reconstructed Aristotle syllogistics as the system of natural deduction and then we can take Aristotle to be presenting a system of deductions, organized epistemically. From Łukasiewicz’s point of view and taking into account peculiarities of Leśniewski’s Ontology, Aristotle (and logicians in general) aims not to understand just the processes of determining the validity of premise-conclusion arguments, but he aims to establish as true or as false, as the case may be, of certain universally quantified formulas. This is why it is easy for the proponents of Łukasiewicz’s view to take syllogisms as inferences. Logic does not examine the logical correctness of arguments; it investigates “certain general aspects of ‘reality’, of ‘being as such’, in itself and without regard to how (or even whether) it may be known by thinking agents” [9. P. 17]. To illustrate this view the best is probably one of Russell himself quotation: “...logic is concerned with the real world just as zoology, though with its more abstract and general features” [10. P. 169]. The emphasis is put on (structural) ontology, i.e. on the most general characterization of reality itself, and not on the epistemic methods for obtaining knowledge of the validity or invalidity of arguments. However, the proponents of this conception need anyhow to refer to an epistemic dimension in a way or another. But this dimension is not what logic is about since logic is about deducing the truth of propositions that can be expressed using only generic terms (individual, property, relation, etc.) and other logical expressions. In this framework, this generality of expression is the only difference between formal logic and science (since science have to use concrete terms). As to the ontological view of logic then it does not emphasize the epistemic role of logic in any way. The motivation for this attitude goes back to G. Frege  and his celebrated charge of psychologism against Husserl. The proponents of the view of logic as formal ontology generally believe that the study of reasoning is not a part of logic, but a part of psychology. Lukasiewicz, too, agrees on that point: “It is not true, however, that logic is the science of the laws of thought ... Logic has no more to do with thinking than mathematics has ... But the laws of logic do not concern your thoughts in a greater degree than do those of mathematics. What is called ‘psychologism’ in logic is a mark of the decay of logic in modern philosophy. For this decay Aristotle is by no means responsible” [8. P. 12-13]. For “formal ontologist” Łukasiewicz it was absolutely essential to defend Aristotle against the possible charge of psychologism that could have resulted from treating his logic as formal epistemology. From such standpoint, the only kind of epistemology that is acceptable is Popper’s “epistemology without knowing subject” . Łukasiewicz saw Aristotle as making an application of the informal axiomatic method to logic (i.e. formal ontology). This is why he did not want to notice, that Aristotle use more plausibly describing methods for the study of deductive reasoning. Aristotle’s syllogistic - and logic in general - is concerned with a methodological epistemological problem, namely that of developing methods for obtaining knowledge of the logical validity of arguments. But this knowledge is gained by making a deduction following logically valid rules of inference. As a consequence, natural deduction systems are superior to axiomatic systems to treat this epistemological problem. However, the suspicion arises: is it not the case that those inferences that are logically acceptable are the truth-preserving ones? If it were the case, the distinction between formal ontology and formal epistemology would be, at best, artificial. Fortunately, this is not case since what really matters is the consequence-conservative property. A popular example of inference that is truth-preserving but not consequence-conservative is mathematical induction. As a rule of inference, it is logically erroneous, since there is more information in the conclusion than in the premises. But as a constitutive law for the “mathematical realm”, it is totally acceptable. When we think of logical consequence merely in truth-functional terms, the importance of the epistemological part may seem to vanish. 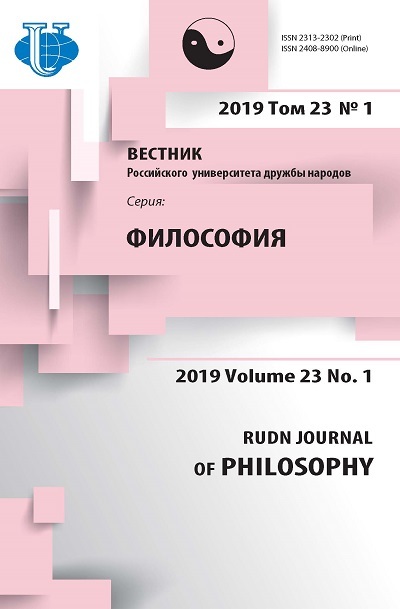 An issue of the interrelationship between logic and ontology in Aristotle’s thought has recently attracted renewed attention, as several scholars have found reason to reconsider the argumentative structure of the seventh book of the Metaphysics. Provoked discussion initially Myles Burnyeat's study “Map of Metaphysics Zeta”  and its suggestion that to understand the aim and direction of that particular book we should distinguish between two different levels of discourse within it. One of these levels was admitted to be the “logical” and the other “metaphysical” in kind. The logical level of discourse explores such concepts and principles that must be assumed by any ontology whatsoever, the metaphysical level conveys precisely Aristotle's ontology with its specific assumptions as regards the nature of reality. As Charlotta Weigelt denotes, “Burnyeat’s proposal has been met with approval by many scholars, who, though they sometimes prefer a different terminology from his, in general agree that the suggested distinction provides us with a useful tool for the interpretation of this notoriously difficult book” [20. P. 507]. These authors had access to Burnyeat's study before it was published; that is why their works predate it. Burnyeat's distinction between logic and metaphysics was met with approval, but they all criticize his other main idea, namely that Book Z has not a linear structure, but displays several distinct arguments that independently of each other lead to the conclusion that substance is form. The usefulness of two-levelled discourse for the interpretation of Aristotle’s text would be illustrated as follows. If part of Aristotle's discussion here in text is “logical” in the sense of not presupposing any specific metaphysical notion of substance, then this may explain why he refrains from drawing upon his own concept of form in what seem to be pivotal passages as regards the inquiry into substance, but instead speaks with a more or less Platonic tongue. And if we admit two distinct levels of argument in the discussion of substance then this might also enable us to shed new light on Aristotle’s attitude toward Plato, and perhaps even toward the tradition in general, in ontological matters. Today many scholars think that Aristotle's logic can be regarded as a clue to a “general essentialism” which serves as a basis for the metaphysical inquiry into substance. One consequence of this belief is the recurrent attempt to come to grips with the problems specific for the discussion of substance in the Metaphysics. That is especially characteristic for deciding whether substance as form is to be understood as a particular or universal entity, by means of distinguishing between different kinds of predication, so that form is allowed to be predicated of matter but not of its object. In this way, one assumes that the question of ousia, at least in important respects, may profitably be treated as a question of logic. Aristotle. The Organon: Posterior Analytics. Topica. Vol. 2. London: William Heinemann ltd.; Cambridge, Massachusetts: Harvard University Press; 1960. 755 p.
Aristotle. Prior Analytics. The Complete Works of Aristotle. The revised Oxford translation / J. Barnes (ed. ), Vol. 1. Princeton, N.J.: Princeton University Press; 1991. Hintikka J. Analyses of Aristotle. New York, Boston, Dordrecht, London, Moscow: Kluwer Academic Publishers; 2004. 238 p.
Bochenski JM. Logic and Ontology. Philosophy East and West. 24 (3) (Jul., 1974). P. 275-292. Wolff Ch. Preliminary discourse on philosophy in general (1728). Indianapolis & New York: The Bobbs-Merrill Company Inc., 1963. Owens J. Is There any Ontology in Aristotle? Dialogue. Canadian Philosophical Review. 1986; 25. P. 697-707. Leszi W. Aristotle’s Conception of Ontology. Padua, 1975. Lukasiewicz J. Aristotle’s Syllogistic from the Standpoint of Modern Formal Logic. 2nd ed. Oxford: Clarendon Press, 1957. Corcoran J. The Founding of Logic: Modern Interpretations of Aristotle’s Logic. Ancient Philosophy. 1994; 14. pp. 9-24. Russell B. Introduction to Mathematical Philosophy (1919). New York: Dover Publications, 1991. 208 p.
van Heijenoort J. Logic as Calculus and Logic as Language. Synthese. 1967; 17. P. 324-330. Shapiro S. Categories, Structures, and the Frege-Hilbert Controversy: the Status of Meta-Mathematics. Philosophia Mathematica. 2005; 13(1). P. 61-77. Hintikka J. Hilbert Vindicated? Synthese. 1997; 110. P. 15-36. Peckhaus V. Calculus Ratiocinator vs. Characteristica Universalis? The Two Traditions in Logic, Revisited. History and Philosophy of Logic. 2004; 25(1). P. 3-14. Corcoran J. The Founding of Logic: Modern Interpretations of Aristotle’s Logic. Ancient Philosophy. 1994; 14. P. 9-24. Corcoran J. et al. The Contemporary Relevance of Ancient Logical Theory. The Philosophical Quaterly. 1982; 32(126). P. 76-86. Frege G. Review of E.G. Husserl, Philosophy of Arithmetic I.B. McGuinness (Ed. ), Gottlob Frege: Collected Papers on Mathematics, Logic, and Philosophy. Oxford: Basil Blackwell; 1994. Popper KR. The Objective Knowledge: An Evolutionary Approach. Oxford: Clarendon Press; 1972. Burnyeat M. A Map of Metaphysics Zeta. Pittsburgh: Mathesis Publications; 2001. Weigelt Ch. The relation between logic and ontology in the Metaphysics. The Review of Metaphysics. 2007; 60 (issue 3 ). P. 507-542. Copyright (c) 2017 Vasyukov V.L.